Grand Central Publishing, 9781455503247, 320pp. Read the bestselling book that inspired the ABC television series. As America's Mercury Seven astronauts were launched on death-defying missions, television cameras focused on the brave smiles of their young wives. Overnight, these women were transformed from military spouses into American royalty. They had tea with Jackie Kennedy, appeared on the cover of "Life" magazine, and quickly grew into fashion icons. Annie Glenn, with her picture-perfect marriage, was the envy of the other wives; JFK made it clear that platinum-blonde Rene Carpenter was his favorite; and licensed pilot Trudy Cooper arrived with a secret that needed to stay hidden from NASA. 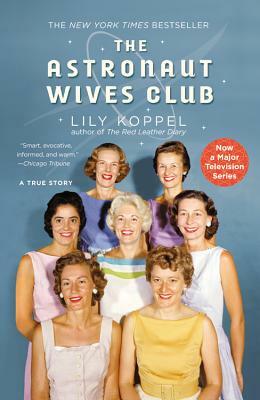 Together with the other wives they formed the Astronaut Wives Club, providing one another with support and friendship, coffee and cocktails. As their celebrity rose-and as divorce and tragedy began to touch their lives-the wives continued to rally together, forming bonds that would withstand the test of time, and they have stayed friends for over half a century. THE ASTRONAUT WIVES CLUB tells the story of the women who stood beside some of the biggest heroes in American history. Lily Koppel is the bestselling author of "The Red Leather Diary." She has written for "The New York Times, "the "New York Times Magazine, Huffington Post," and "Glamour." "[A] perfect beach read. "—Entertainment Weekly's "Must List"